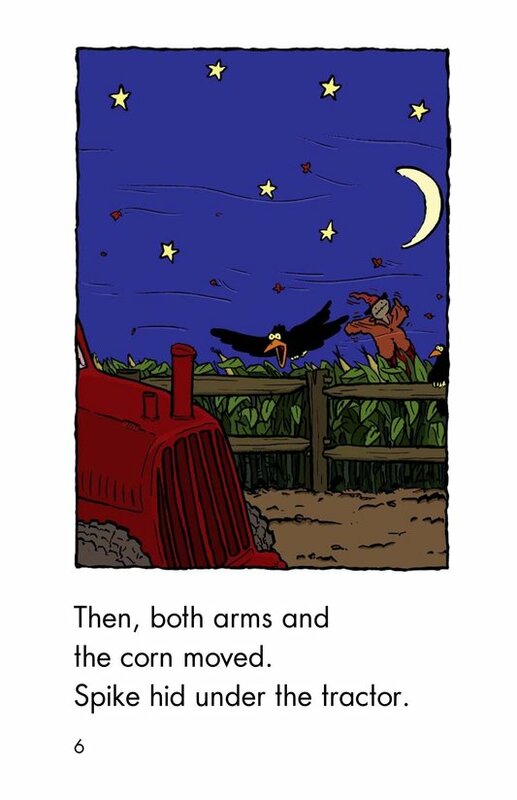 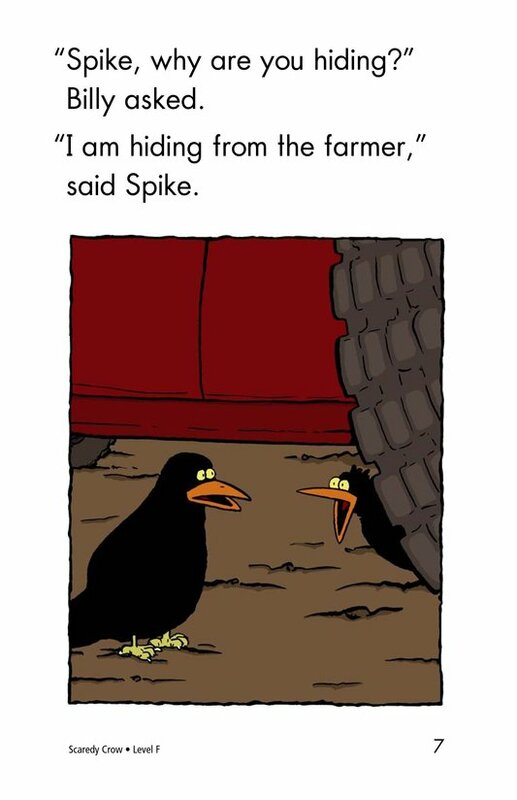 Two crows decide to rest for the night in the cornfield. 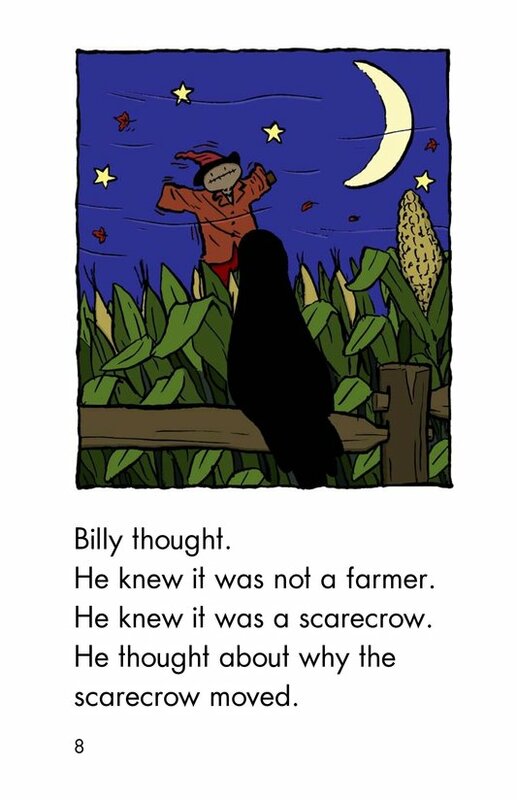 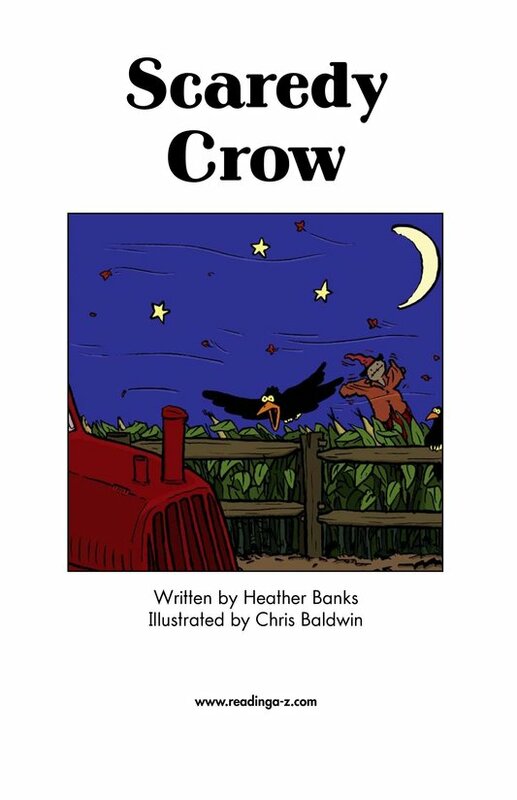 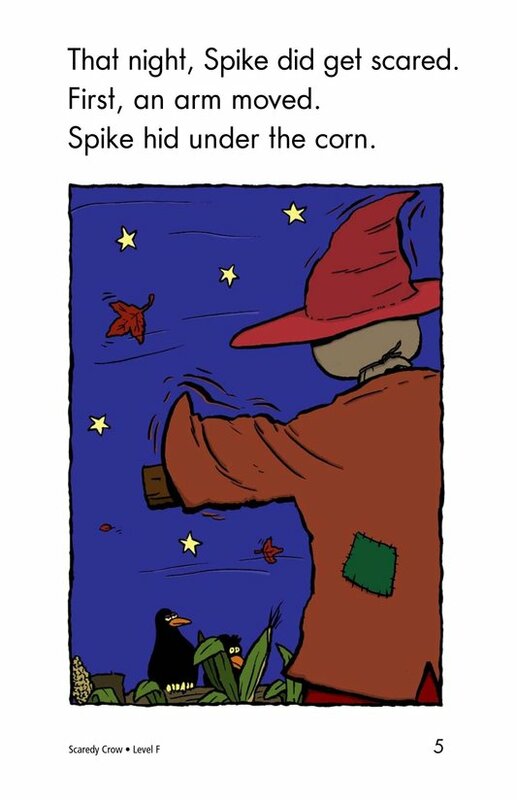 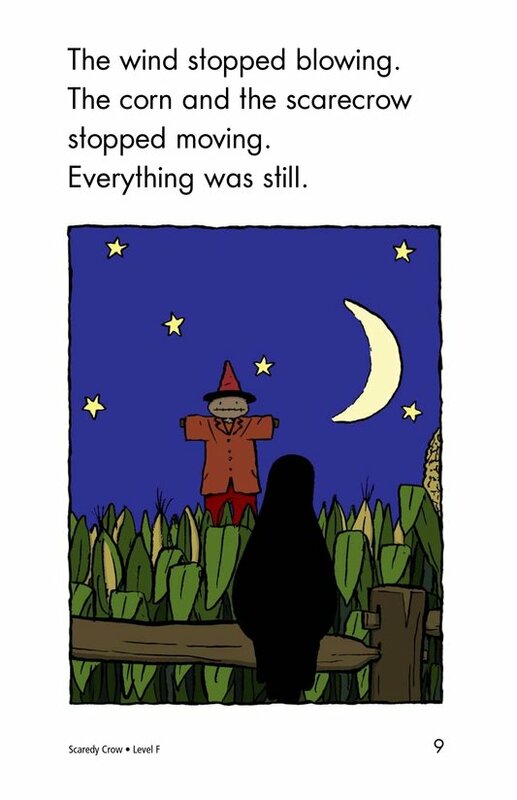 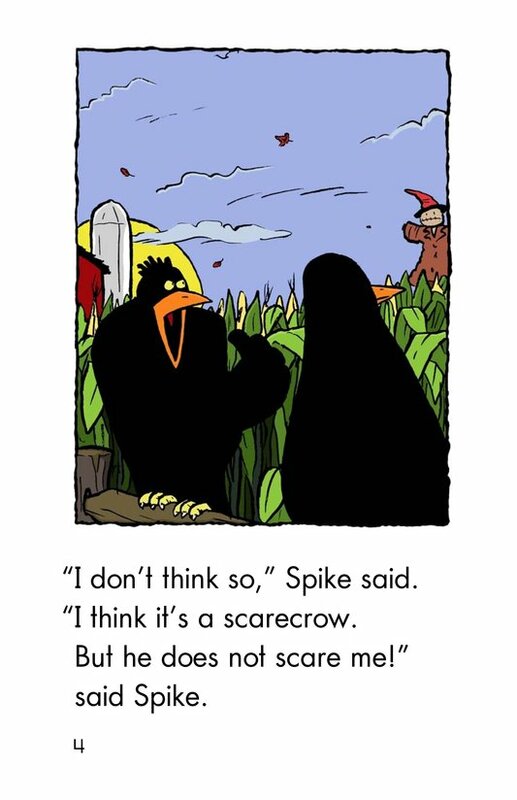 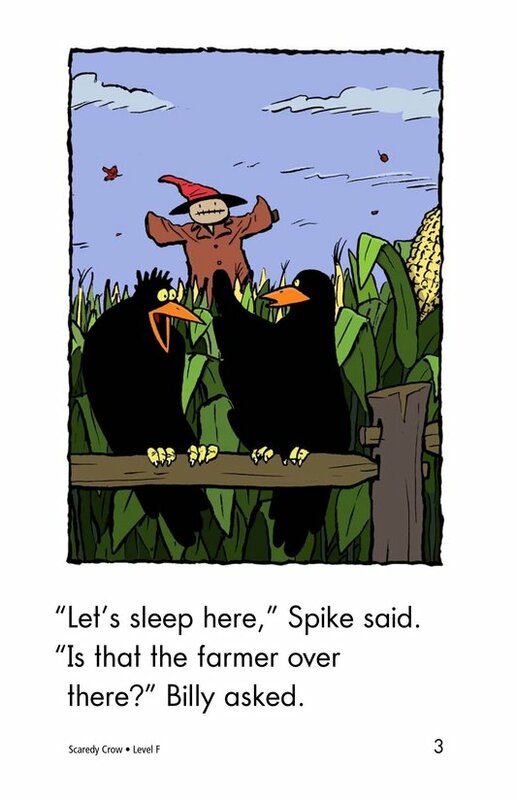 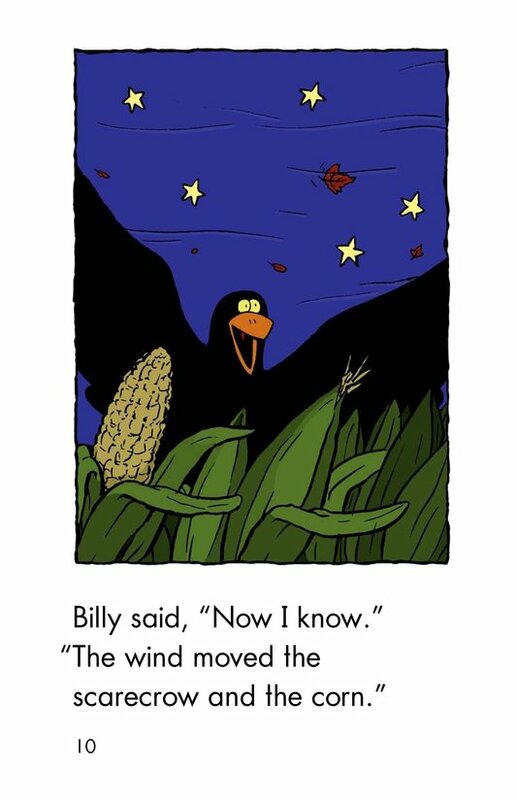 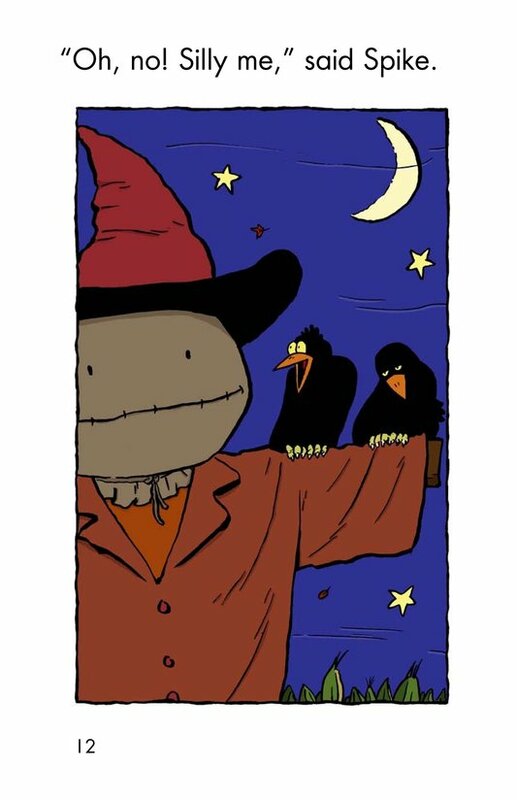 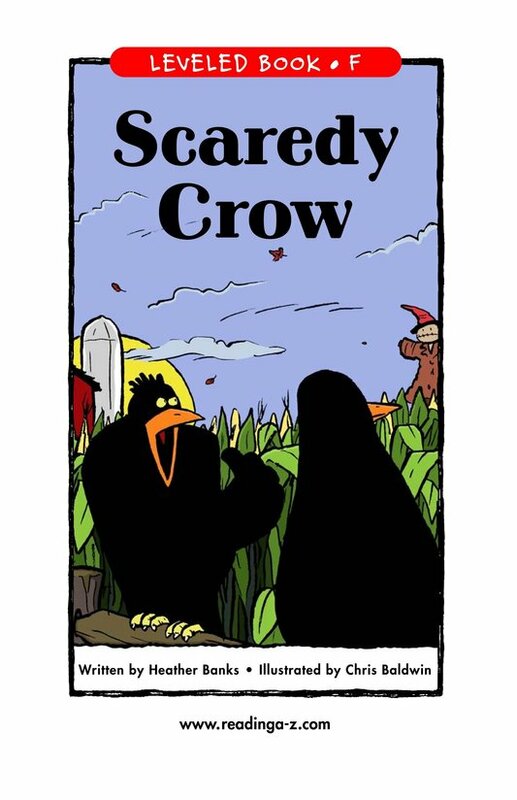 Students learn about cause-and-effect relationships from the crows' reactions when the scarecrow begins to move. 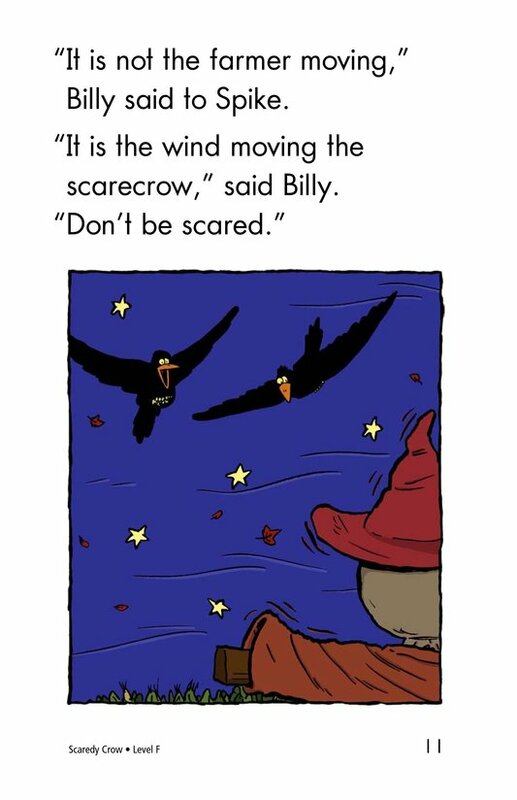 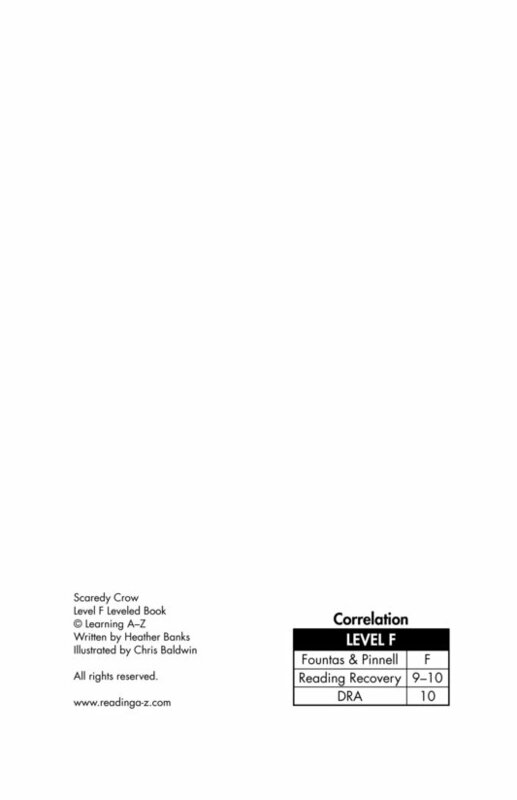 The text features supporting illustrations and character dialogue.